3 Bdrm Semi-detached Dwellhouse. Ground flr: Hall. Cloakrm with wc. Lounge. Dining rm. Kitch. 1st flr: 3 Bdrms. Bathrm (CT band C). Garden. Parking. Price over £170,000 Entry by arr. 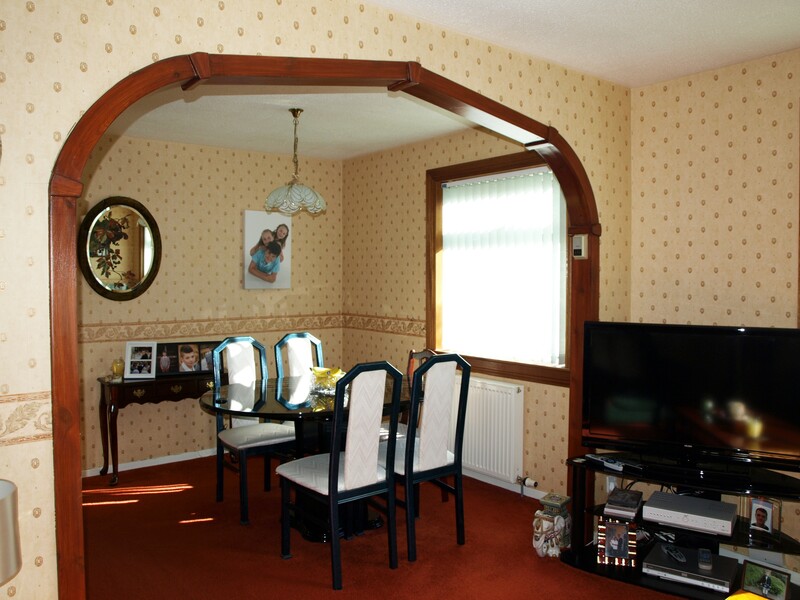 Viewing Mr and Mrs Annal 01224 780162 . (EPC band - D). 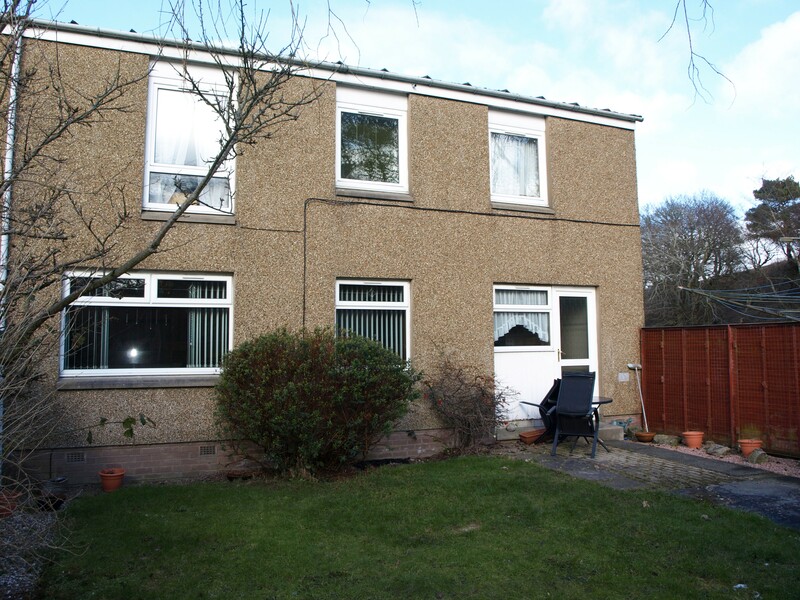 For sale privately this 3 bed semi-detached property is located in a popular area of the residential commuter town of Portlethen, convenient for access to local shops, schools and amenities while being only a short trip to Aberdeen city by car, bus or rail. This property benefits from double glazing throughout, gas fired central heating, fitted kitchen and well-proportioned rooms, representing an excellent opportunity to purchase a family home in this popular, quiet location. Hall:- glazed external door; carpeted; double central heating radiator with thermostat; single power point; meter cupboard containing electricity meter; storage cupboard; coat hooks. Cloakroom: vinyl flooring; toilet and wash-hand basin; single central heating radiator with thermostat. 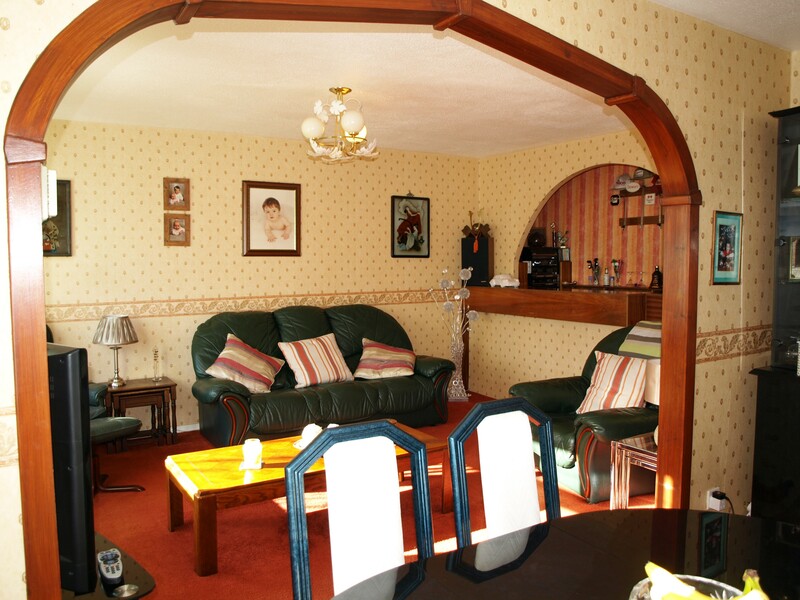 Lounge:- 4.59m x 3.14m (approx. ); on open plan with Dining Room; carpeted; double central heating radiator with thermostat; double power point; 2 x single power points; TV point; Sky point; bar area with lighting; concealed gas meter; double glazed window with blind. Dining Room:- 3.56m x 2.64m (approx. ); on open plan with Lounge; carpeted; double central heating radiator with thermostat; telephone point; 2 x single power points; double glazed window with blind. Kitchen:- 2.37m x 3.05m (approx. ); Pergo wood effect flooring; fitted with a range of light wooden base and wall units; tiled splashback; gas hob; electric oven; washing machine; tumble-dryer; 3 single power points; telephone point; double central heating radiator with thermostat; microwave; stainless steel sink and double drainer; double glazed rear door and double glazed window with screen. Hall:- carpeted; storage cupboard with shelving; access hatch to loft; cupboard housing gas central heating boiler with shelving; double glazed window. 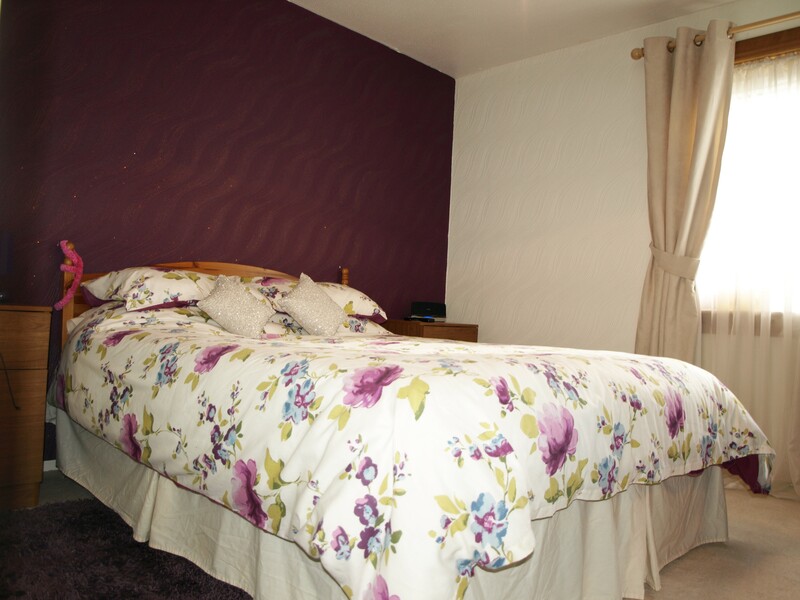 Bedroom 1:- 3.18m x 3.20m (approx. ); carpeted; single central heating radiator with thermostat; telephone point; 2 x single power points; double glazed window with curtains. Bedroom 2:- 2.58m x 4.36m (approx. 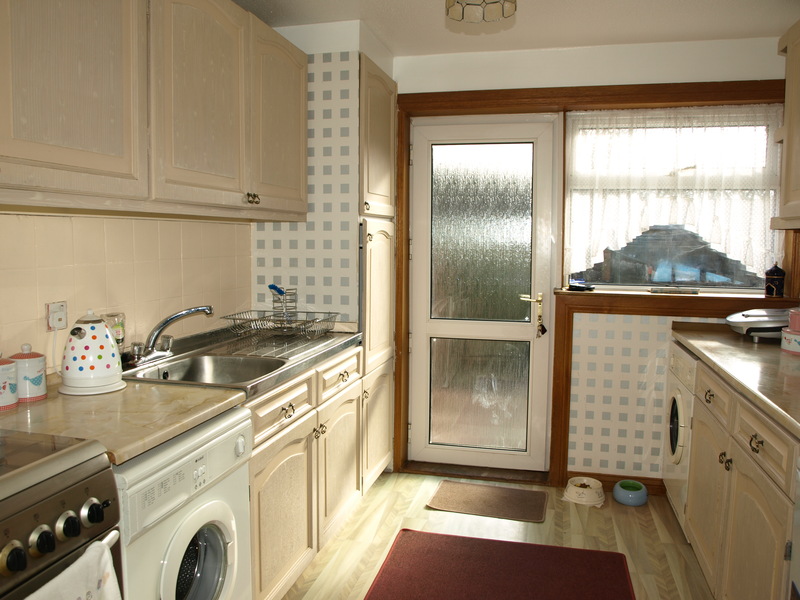 ); carpeted; double central hearing radiator with thermostat; 2 x single power points; storage cupboard with lighting; double glazed window with blinds and curtains. 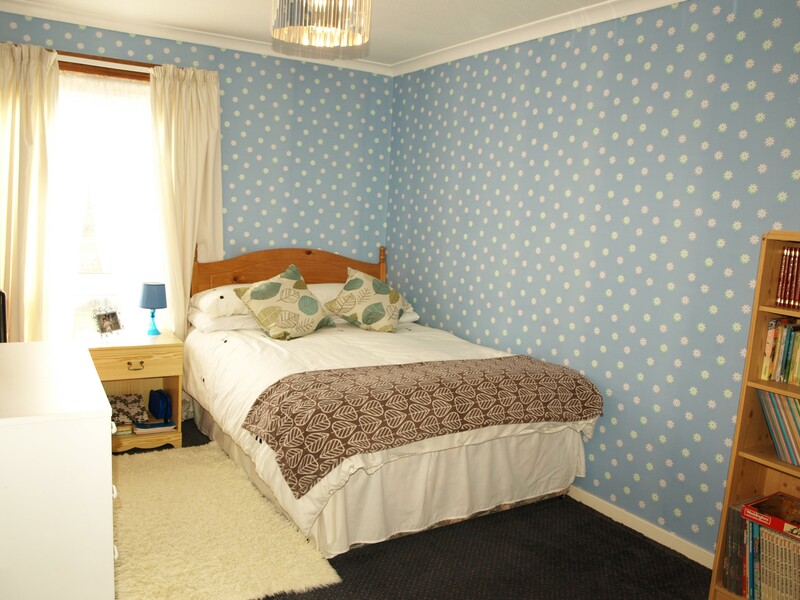 Bedroom 3:- 3.07m x 3.07m (approx. ); carpeted; single central heating radiator with thermostat; 2 x single power points; double glazed window with venetian blind. Bathroom:- vinyl floor; part tiled and wooden panelled; single central heating radiator with thermostat; mirror; mirrored vanity unit; toilet; wash-hand basin with storage cupboards underneath; elevated corner shower unit; Triton electric shower; double glazed window with screen. 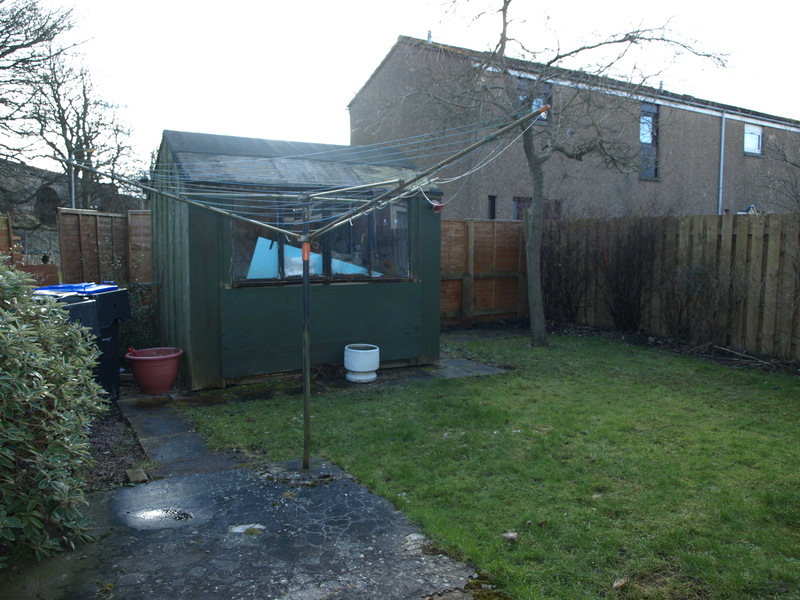 Outside:- easily maintained enclosed rear garden area laid mainly to lawn and part paved; rotary drier; shed; side gate; enclosed front garden laid with stone chippings and conifer border; side gate; storage cupboard. General 1. Gas fired central heating. 2. Fitted kitchen. 3. Open plan lounge/dining room. 4. Double glazing. Location Froom Cookston Road, turn right into Thistle Drive, proceed to just before the railway bridge and turn right, Number 79 is on the right (accessed from Thistle Drive).